Ashley Lee, RN, BSN, CCRN is an expert leader and innovator in the field of Pediatric Energy Healing and her pioneering ways to create an atmosphere where children, their siblings and parents are able to find out and exhibit their true selves, true nature and freedom of expression is second to none. She is a medical intuitive with 29 years of Pediatric / Newborn Critical Care nursing who demonstrates expertise in a deep understanding of advanced human physiology and has extensive pediatric neuro-critical care expertise in understanding brain and nervous system integration. She is a gifted voice in the realm of pediatric consciousness. As a multidimensional physical and emotional empath, including accessing her deep telepathic skills as she gives a voice for how her clients are feeling and thinking. She is a passionate advocate where her client’s needs are honored with enthusiasm and compassion. She also has huge energetic expertise of supporting moms and fetal children through the whole perinatal period to enhance bonding and clear physical developing energetic imbalances. As an expert with children, the majority of her practice sees the highly conscious, gifted, psychic and sensitive children and adults and designing programs so that these children and their families can thrive in their everyday lives with happiness and joy! She is a pioneering educator for parents and the public to meet the needs of highly sensitive and gifted children. She has a unique approach in guiding you and your family to view pathogens, toxins, physiological imbalances and sensitivities in a whole new way of healing your body through self healing and self empowered modalities. Her unique presence and gifted ability to teach and show you how, will support you and your children in compassionate ways to advocate and heal yourselves. 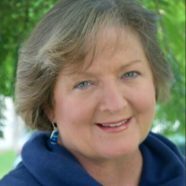 The advanced energy healing modalities she draws from is Healing Touch, Vibrational Quantum Biofield Energy Healing and Energy Kinesiology goes deep in to the anatomy and physiology of all energetic fields of the body.